Team Sonic Racing release is coming this year, bringing back people’s favorite hedgehog along with his furry friends. 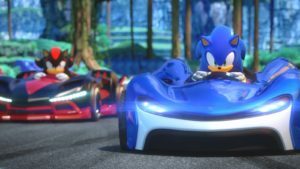 SEGA announced back in March about a Sonic-racer game. This announcement came with a teaser trailer namely ‘Top Secret’. Later on, the developers revealed at the end of May that the game will be a Racer Kart game. Sumo Digital will follow behind Sonic & Sega All-Stars Racing to release their new game, namely Team Sonic Racing. The game will feature wacky new vehicles, the craziest race circuits and much more. These cars will base upon Sonic Themes and will feature a lot of weapons and power-ups. Team Sonic Racing is set to contain 15 playable characters from the Sonic the Hedgehog franchise. Though we don’t have a full list just yet, we do know most of the characters set to appear. The nostalgia will hit the fans as most of their heroes and villains from the franchise are returning for the game. But this is not all, there may be other surprises on the way. Team Sonic Racing release will also not feature any playable characters other than Sonic the Hedgehog domain. However, the previous games have featured a few playable characters from other franchises. Meanwhile, the game will focus more on teamwork rather than on individual wins. This implies the importance of word team in Team Sonic Racing. The game will feature 4 teams in a race having 3 members each. The players will have to help the characters in the game who’ll be lagging in the race. Moreover, the players can share their power-ups with the other team members to help them. A trademark of Sonic franchise is collecting the rings. The rings will be available during the races for players to collect. The game will feature a story-mode namely Team Adventure. This mode will explain the narrative of the game. 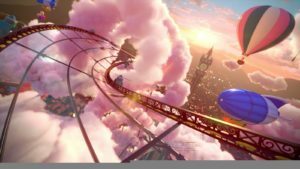 Sumo Digital is planning to give the details to the players that why are the characters racing? The developers have still not given a lot of details about the race tracks in the game. But for now, we know that the tracks will be from inside the Sonic Franchise. The only tracks we know are Rooftop Run Spagonia and Planet Wisp-themed tracks. The exact date of the game is still not known. But players can expect the game to launch at the end of this year between October and December. The game will release on PS4, Xbox One, Nintendo Switch, and PC as the digital release and physical retail. The Standard Edition of Team Sonic Racing is available for pre-order at $39.99.